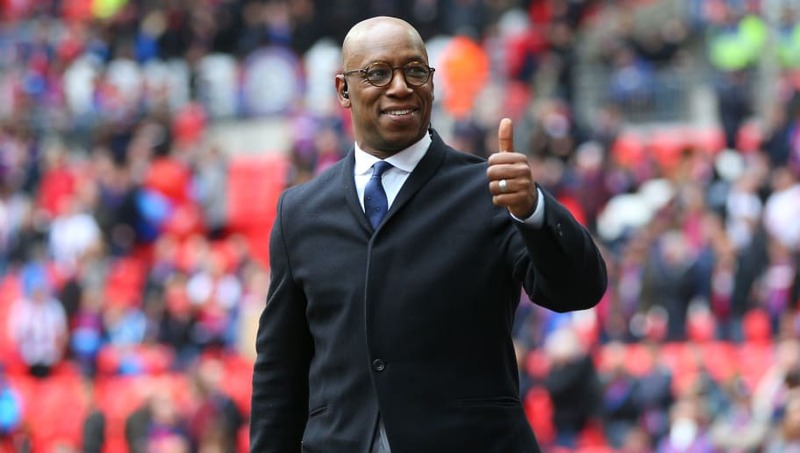 Legendary former Arsenal striker Ian Wright has criticised the north London club's handling of contracts after it was confirmed that Aaron Ramsey has signed a pre-contract agreement with Juventus. The Welsh midfielder has been linked with a move to Turin for a number of months after negotiations broke down over a new Arsenal deal last October, with the club reportedly unwilling to match his wage demands. And Wright believes that the club's handling of other contracts is to blame for Ramsey's departure, with the Gunners shelling out £350,000 per week on a new deal for Mesut Ozil, as well as handing Henrikh Mkhitaryan a £200,000 per week deal when he joined from Manchester United last January. "Ramsey is just another situation where he could run the contract down," Wright told BBC Radio 5 Live. “So unfortunately we lose him and, you know, he’s been magnificent. Maybe he was never really appreciated at Arsenal. “I think what people will see now is when you watch how he plays and the professionalism, he’s one of those players that, no matter how poorly Arsenal were playing, he never hid," Wright added. Since joining the club in 2008, Ramsey has gone on to play 357 times, scoring two FA Cup winning goals en route to becoming the club's highest scoring central midfielder. He will be reunited with former Arsenal goalkeeper Wojciech Szczesny when he joins the Old Lady in the summer, but will first look to see out his Arsenal contract in style.